It's a man's world in Asura: The City of Madness, and a rotten one at that. Cops, prosecutors and politicians jostle about with unbridled machismo in a noirish caricature of corruption in the latest thriller to balk at the irresponsible behaviour of Korea's power brokers, following Veteran, Inside Men and A Violent Prosecutor. Detective Do-kyung is a week away from quitting the force to work fulltime for the unscrupulous Mayor Park, whose dirty work he already handles on the side. But a sick wife and a sudden internal affairs investigation give prosecutors enough leverage to pit Do-kyung against his crooked employer. Meanwhile, his ambitious younger partner also moves into Park's camp. Opening with Do-kyung's grisled and downbeat voiceover sounding out over a sky-view of a mishmash of decrepit housing before confining us within the dank cesspool of the squalor below, Asura aims for hard-boiled with its exaggerated but well-designed microcosm of the infected layers of a small city's civic layers. It's a worthy and timely exercise, if not altogether novel in the wake of several similar hits, and provides plenty of entertainment woven into its obvious commentary. Yet where the film runs into trouble is its awkward juxtaposition of self-seriousness and over-the-top theatrics. The absurdly excessive use of violence in every scene at times results in flashes of brilliance, largely due to a terrific supporting cast that includes Hwang Jung-min and Kwak Do-won, both seen in Na Hong-jin's The Wailing earlier this year, but can also come off as unpleasant, repetitive and unnecessary, particularly over 135 minutes. 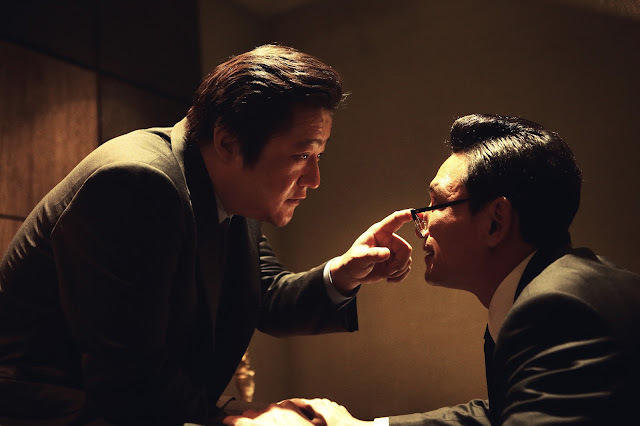 Among the things that do work are the film's look, which combines dark and claustrophobic lensing from I Saw the Devil cinematographer Lee Mo-gae, grimy interiors by Jang Geun-young and some great finds by the location scouting team. 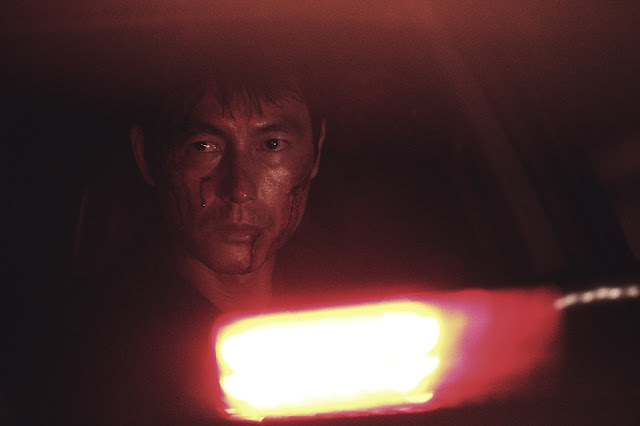 As a morally ambiguous lead very much on the darker side of grey, star Jung Woo-sung breathes raw energy into his role, even if he overplays his hand at times. The cast is well filled out with Hwang, who clearly enjoys chewing the scenery with his larger-than-life mayor, Kwak as a blustery prosecutor and Ju Ji-hoon as Do-kyung's conniving mentee. While the performances are all top notch, the only issue is that the characters often resemble one another as they switch between being the slapper or the slapped, the table-flipper or the target of a projectile from one scene to the next. 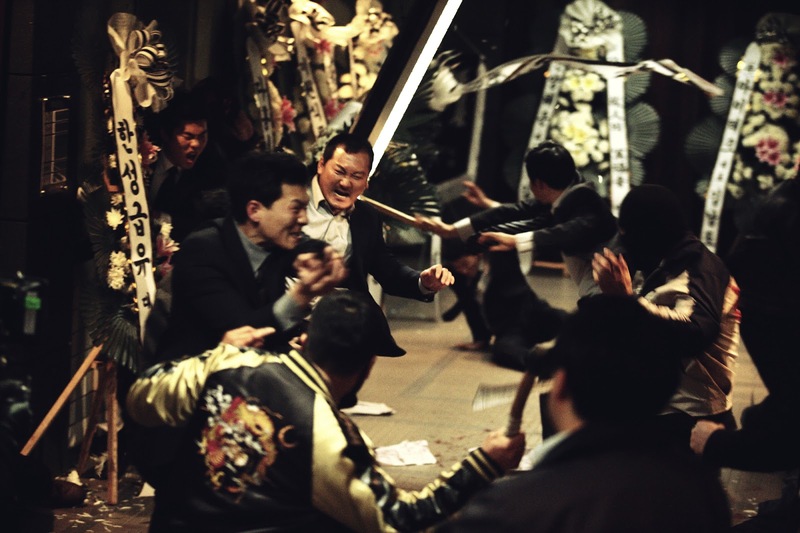 Though flawed, Asura marks the most compelling work of director Kim Sung-su in almost 20 years, back when he first worked with Jung Woo-sung on the teenage gangster drama Beat (1997). It lacks subtlety, beggars belief and follows its simplistic aims almost to a fault, yet it's also a focused work that sticks to its vision and immediately draws the curtain at the close of a very bloody finale. Not a great movie, too bad I had high expectations... Although: hats down to Hwang Jung-min; impressive acting (casting a great shadow over Jung Woo-sung who I guess was the selling star). Glad to see more frequent posts btw!